While the summer days in New York City can be grueling for people, it can be much harder on our exotic pets. Bird, rodents, rabbits, and even reptiles are all highly susceptible to elevated temperatures. During this most recent heat-wave, we have seen birds, guinea-pigs, rabbits, and a chameleon present for emergency heat related illnesses. While birds and reptiles can tolerate higher temperatures, they should be well ventilated and have access to fresh water. Birds should not be exposed to temperatures higher than 80-85 degrees F for extended periods of time. Reptiles can and often should have temperatures to bask in that are 90-100 degrees F, but should always have a temperature gradient in their enclosure so they can move to a cooler area when needed. Pet rodents (such as rats, chinchillas, and guinea pigs) and rabbits do not tolerate high temperatures well. Most are native to cooler climates and not designed for temperatures over 75-80 degrees F for prolonged periods of time. They should be housed with ample fresh water, a hiding/shaded area, a cool slab of marble or tile to lay on, good ventilation, and with air conditioning during high summer temperatures. When traveling with your exotic pet, be sure to have fresh, cool water, fresh fruits (when applicable), and if air conditioning is not available during your travels, you may want to consider having a cool water spray bottle to mist your pets as needed. Never leave your pet in a car that is unattended, even for a few minutes. If you will be traveling during a heat wave, you may want to consider boarding your exotic pet here with us so that we can care for them and you can enjoy your holiday without worrying! Signs of heat-stroke include: Rapid Breathing, Lethargy , Refusing food, Lack of or decreased droppings , Hyperthermia (increased body temperature), Inability to perch (birds/some reptiles), Ears/feet abnormally hot to the touch (rabbits/rodents), Ataxia (wobbly and unbalanced) Collapse. If your exotic pet is experiencing any of these symptoms, please call us right away at 212-501-8750. Do not rapidly cool your pet at home without professional guidance, as this can cause them to go into shock. Do not submerge your pet, or use ice. Instead, you could use cool tap water to apply on your small mammal’s ears and feet only. For pet birds, you could do the same to their feet only. 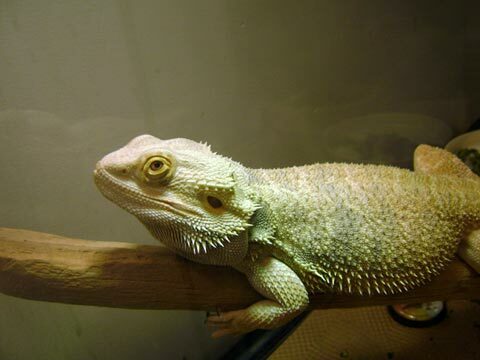 For reptiles, move them away from the heat source and call us right away. Have a wonderful and safe summer!